Dr. Guy Chmieleski is the University Minister at Belmont University in Nashville, TN. He blogs regularly at FaithONCampus.com. You can also connect with him on Facebook, Twitter and Google+. It's Friday evening and I have a headache. I'm pretty sure that it's a people-induced headache... If that's possible. You see, I've spent the last 3 days at the Catalyst conference in Atlanta. And I don't think that number includes the dozens, if not hundreds, of volunteers that it took to pull off this grand event. Nor does it account for the dozens of vendors that lined the hallways, on both levels of the arena, and in tents out on the grounds. I'm peopled-out. And I hope that's not an offensive thing to say...so I apologize if it is. But it's how I feel right now. For the past three days I have had the privilege of getting to hear from some great leaders, thinkers, authors and activists. And it’s been great. It really has. I’ve been inspired, challenged, convicted, encouraged, blessed… and worn out. No, I didn’t have any leadership obligations, speaking requirements or even any students to keep up with. I simply got to be “present” and participate in the conference. But that grew increasingly difficult as each day passed. The first day wasn’t so bad. The morning pre-lab sessions were attended by roughly 400 to 500 people. A large group by some standards… but it was doable. There was room to move and to breathe. But by the afternoon that number had increased by approximately 1500. And it was as almost as if – like Superman coming into closer proximity to kryptonite – I sensed my strength starting to fade. And truth be told, I had expected something like that to happen, but I chose to attend Catalyst anyway. The opportunity to hear from so many leading thinkers and ministry practioners was too attractive to pass-up. However, by the start of Day 2, and the addition of 11,000 more people to our gathering, I was starting to wonder if I had made the right choice. The speakers were no less fantastic than they were on Day 1, but it seemed that with each passing hour I was being zapped of more and more of my strength. Each long line, inadvertent brush or bump, awkward attempt at small talk, verbal chase-down (by well-intentioned vendors) and human traffic-jam (that could be found around just about every corner) wore me down. By Day 3 I was content to arrive a little late to the opening session (late enough to miss the morning crowds), sit in the upper-level – behind the lighting racks and main stage back drop (where I could still see and hear; but where open seats and room to move more freely was more easy to find), and then leave a little before sessions were over (as it meant avoiding the masses). Some may call me a Catalyst party-pooper. 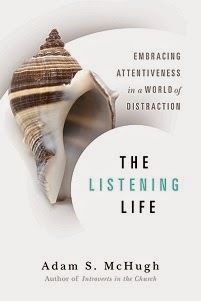 I guess I’d prefer to be understood as an introvert, who doesn’t care for big crowds (let alone multiple days within them), but was willing to put myself in a less than comfortable position for the sake of taking in some great wisdom and encouragement – and even meeting some new friends. I don’t doubt that I have learned a lot over my past few days at Catalyst… and will continue to do so as I slowly regain mental strength and capacities. For now, however, I will soak in the silence and solitude of my hotel room. I will trust the Lord, and my 5-hour drive back to Nashville tomorrow, to renew and refresh me. 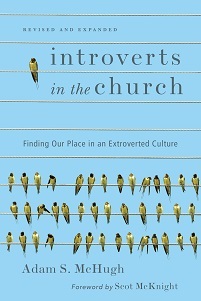 If you want to read more about introversion, leadership, and church life, check out Adam's book, Introverts in the Church.